Own Microsoft's project management tool for Office 365 (Microsoft Planner) - is not so popular yet. That is why integration between team messenger Microsoft Teams and popular project management service Wrike makes sense. First of all the integration allows companies to use single sign-on for Office 365 and Wrike user-accounts. Second, in any Teams chat you can add Wrike's tab with needed project, where you can work with task list and timeline view. 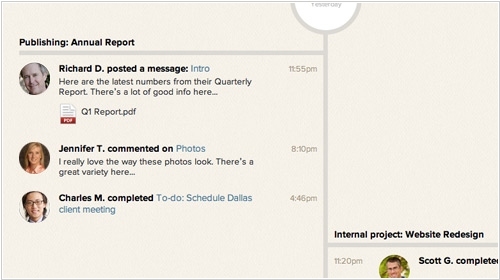 Any task can be published to Teams chat for discussion and collaboration. Besides, in Teams chat you can automatically receive project notifications from Wrike. It's very easy to connect Wrike to Teams - it takes just several clicks in the Teams Store. Workflow management platform Asana announced a new feature - Timeline - composite, visual, and interactive maps of the various projects assigned to different people within a team, giving the group a wider view of all the work that needs to be completed, and how the projects fit together, mapped out in a timeline format. 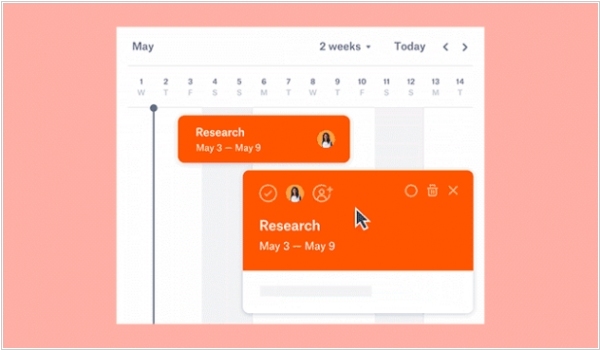 Timeline can be used in scenarios like product launches, marketing campaigns and event planning, and it’s not a matter of a new piece of software where you have to duplicate work, but each project automatically becomes a new segment on a team’s Timeline. Timeline is only for paying users. Those who are among Asana’s millions of free users will have to upgrade to the premium tier to access it. TheBrain Technologies released the newest release of its dynamic visualization and knowledge management software TheBrain 9. New features include brand-new native user interface, scaling to millions of objects. Featuring a powerful and more robust backend, TheBrain 9 starts faster, is more responsive and scales better. TheBrain was rewritten as a native application and optimized for the OS-specific features on Windows, macOS, iOS and Android. 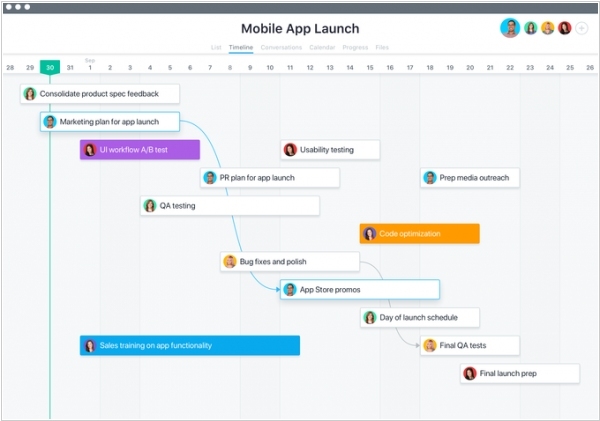 The all-new timeline features a zooming interface that smoothly scales from one day to multiple years. Events can be synced with Google Calendar and associated directly with thoughts and links. Advanced content display provides built-In viewing of attachments. The new Notes editor separates content and presentation, allowing flexible idea capture that can be styled easily. The new mind map view which dynamically creates a traditional mind map display from any starting point within a Brain, enabling one-click access to hundreds of topic-specific notes, files, web pages and other attached content. As one of the Enterprise 2.0 classics said: "If I had more time, I would have created a simpler application". That's how 37Signals (the company behind the project management app Basecamp) is spending its time. Basecamp was launched about eight years ago and since then it remained almost unchanged. Every new feature was added only if it was really necessary. Due to this, Basecamp has retained its simplicity and effectiveness. But it turned out that the Basecamp developers during all these years not only defended the app from the complications, but also have been inventing more perfect and simple structure. And this year they decided to roll it out. 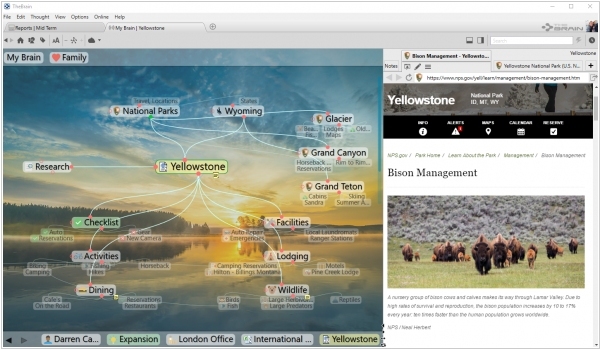 It's hard to believe, but the new version of Basecamp is even easier and more effective. Nested pages interface, cool new calendar, project history in Facebook Timeline style, clean and informative profiles - will surely please the users. But creators say that the main feature of the new version is its higher speed. And it's achieved not only thanks to the platform optimization, but also due to real-time updates: new messages, comments, tasks appear instantly and automatically without page reloading. In the same way wiki pages are updated. And they support collaborative editing in real time. Autosave feature works everywhere. You can continue using the old version for as long as you want - it's not going anywhere and nothing changes - or you can check out the all new Basecamp. Or you can use both. By the way, the cost of the lower Basecamp plan was again dropped to $20/month (for 10 active projects). Remember it was (kind of) raised to reduce the number of clients. And still Basecamp provides 1-project free plan.